Just when I thought all the budget cuts for military airshow performances had ended I read they had extended to the United States Army as well, clipping the wings of the Golden Knights Parachute Team. 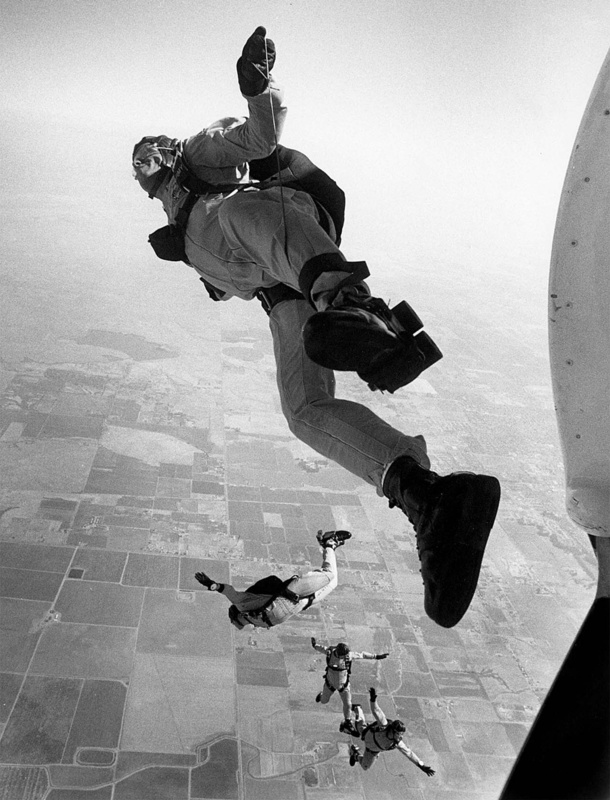 Budget restrictions cancelled the remaining demonstration jumps by the Golden Knight’s Gold Team, Black Team and Tandem Team jumpers. I was fortunate enough to ride with the Golden Knights Black Team as they performed an arrival show jump at Castle Air Force Base in 1991. Sitting next to an open door of the Fokker F-27 jump ship at 12,500 feet over the Merced County countryside as the team prepared to jump is a memory I will never forget. Following a quick prayer in the middle of the plane the team stood up, clapped their hands and shouted “Showtime!” for all the media aboard the plane to hear. After a quick high-five with the passengers the team gathered next to the open doors -four men at the open door opposite me and four men stood at the open door way inches from my shoulder. The plane leveled off on the jump run a quick countdown and the team lept into the sunny skies above the airbase. 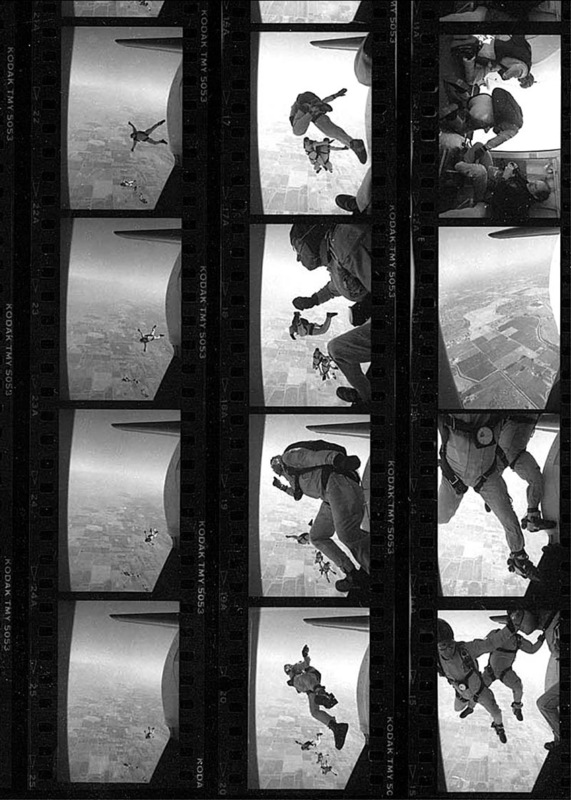 Holding the shutter release down on my motor drive equipped Nikon F3 I watched as the team slowly slipped below the plane and eventually out of sight. It seemed so peaceful and calm as they floated away, not the chaos of a free fall I had expected. Of all the things I remember from that assignment is this: The last man who jumped out of the plane past me was Staff Sgt. Hank Turner. Before the flight I asked the staff sergeant if he knew how many times he had jumped out of a plane. I figured as a member of the Army’s elite parachute team he must have at least a hundred or so jumps under his belt. He answered of course and told me the jump he was about to make was going to be his 2,245 free fall jump. He also had a couple 300 or so static line jumps but he wasn’t sure how many, he didn’t keep track of those too well. The photo of Staff Sgt. Hank Turner leaping out with his team sits on the center of my living room wall, it’s a moment and memory that ranks among the best in my career.